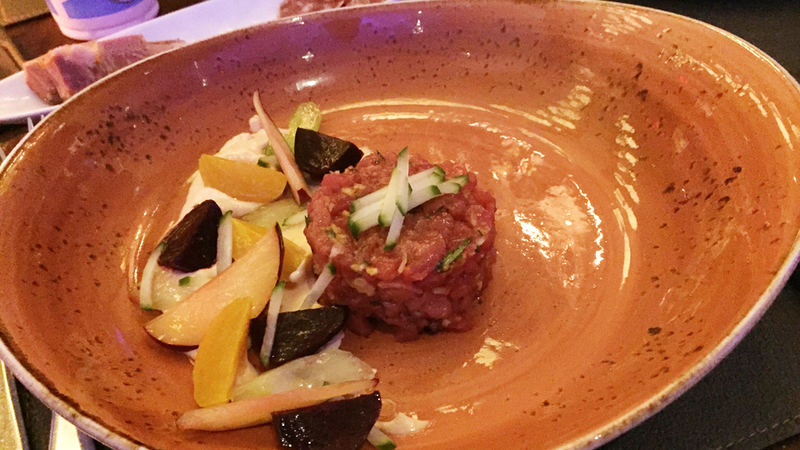 This recent dinner out with the kids at Café Boulud – Toronto was a terrific opportunity to get back to Daniel Boulud’s Toronto outpost. Located in the Four Seasons Hotel, Café Boulud offers a menu rich in the classics under the direction of Chef de Cuisine Sylvain Assié. Wine Director Drew Walker’s list is small, but well chosen, with a number of gems sprinkled throughout a selection that focuses on France and the United States, with quite a few wines from Italy among the reds. Café Boulud – Toronto is much less formal in both cuisine and ambience than the New York original. The brasserie-style dining room is bustling with energy as we sit down for dinner. I follow General Manager Jeremy Geyer’s lead and go for a few tried and true favorites. The tuna tartare, served with harissa mayo, is a Boulud classic, with the richness of the mayonnaise playing nicely off the pristine, fresh fish. 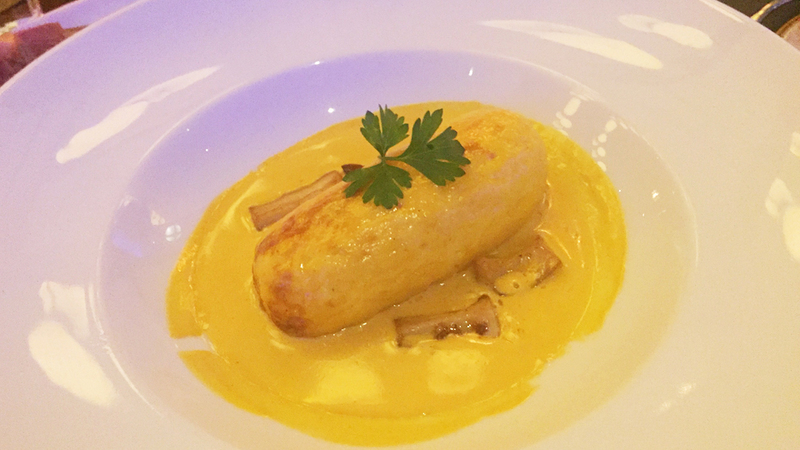 I also enjoy the Lyon-style northern pike quenelle with Cognac-lobster sauce. Bold, lusty flavors in the sauce work well with Bouchard’s 2014 Chassagne-Montrachet. 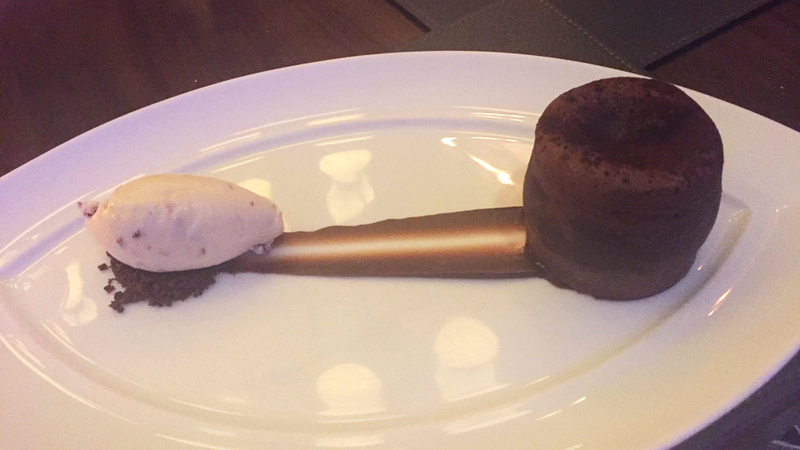 Café Boulud’s molten chocolate cake with maple-black cherry ice cream is every bit as decadent as it sounds. My only regret is not having had a chance to explore the menu more fully. For that, there is always next time.